"One of the great debates surrounding Microsoft's Windows Phone 7 operating system focuses on whether the design guidelines the company set for its manufacturer partners allow for adequate expression. How can companies like Samsung, LG and Dell keep their Windows Phone 7 (WP7) handsets looking cool and different when Microsoft specifies the basic button layout, display resolution and user interface framework these companies should use?" HTC is hoping to bring it's Sense UI to WP7 - it's one way to differentiate its WP7 phones from everyone else's. They've even begun an ambitious project to bring Windows Live type services to all their Sense enabled phones across different OS types (here and here for reference), starting with Android. I'm not sure if this isn't really just wishful thinking on their part, given the determined way Microsoft has been protecting the consistent user interaction and performance that WP7 offers across the board. But what do you guys think? Would bringing the full Sense experience to WP7 make sense (sorry for the pun)? Personally I have never been a big fan of the Sense UI so I am quite biased here. What I really like on my HD7 is the silly "List" utility; it is the best grocery list I have ever used: simple and easy to use. "Stocks" is not bad too and "Notes is horrible: I do not like its old fashion style, I like the Hi Tech minimalist one. 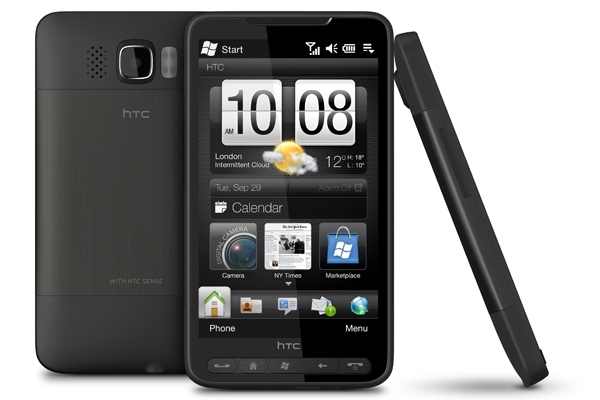 Even though I do not have WP7, the only way if HTC improved it drastically. I have the HD2 and got the SPB interface, way better. Although the clock reminds me of being a kid. I thought MS mandated that the basic look and feel of WP7 could not be altered nor 'skinned' by vendors with their own overlay. I seem to remember there were very specific instructions/requirements around yes, you could have your own custom tile on the main screen, that would take you to another interface (like HTC's Hub now on WP7 phones) but not a complete reskinning of the O/S == like what happened with WM6.x. MS was trying SPECIFICALLY to be more Apple-like and control the look, feel, and operation of the new WP7 phones and avoid the plethora of interfaces and features (and confusion) of the old era. I agree with benjimen 100%. Why add Sense? Many of the things that Sense adds in Android are already provided by WP7 out of the box, like Facebook integration, except Microsoft's implementation is far more complete and useful than HTC's. 1. The HTC Mail client was buggy. It provided a good experience, but after a while, would simply refuse to fetch my email, no matter what I did. The only solution was to delete my account and start over, only to find out I had 20 emails waiting for me. 2. The HTC Music Player refused to shuffle my music and couldn't accurately display album art for about 30% of my library. 3. The HTC Video Player was nice, but it never remembered where I left off in a video, requiring me to remember where I left off and scrub to the approximate position I remembered. WTF? 4. The full screen HTC Weather Widget was nice, but EVERYTIME I unplugged my EVO from my computer after syncing, it would freeze. I'd have to uninstall and reinstall it. What a pain. 5. The Facebook integration in contacts was buggy. For some of my FB friends (usually the ones that mattered), Sense wasn't able to show their wall or said they didn't have any albums. When I contacted HTC, they blamed Facebook, saying that Facebook had changed their security without telling anyone. WTF? 6. The HTC gallery blows. Laggy and ridiculously slow. I'd swipe through an album and wait 15 seconds while thumbnails loaded one by one. WP7 is a MUCH better experience for me than Sense. Sense on Android had WAY too many bugs for me- it felt like beta software. On WP7, everything just works, for the most part. Also, adding Sense might mean delayed updates and who wants that? Until HTC cleans up their act, I'd rather have them improve on the quality of their hardware- better cameras, better screens, and better build quality. Whether it is HTC's Sense or something else, I think it is in the platform's best interest to be more flexible, and allow some UI changes and additions. I know there are a lot of people who like the Metro UI and want nothing else, but there are also a lot of people who don't like it, or want more flexibility, presently they are going elsewhere. I think if Microsoft continues to see nothing more then mediocre sales they are going to have to seriously consider this issue, if they are going to appeal to a broader market. There are lots of ways to implement more flexibility without interfering with the base UI, which seems to be a concern for some. However.......I think this discussion is all for not. I don't see Microsoft loosening their grip on the platform any time soon. I'm another one that never really got into Sense. I never enjoyed having to slide sideways or through a tray of icons to see the info that is summarized on my WP7 Home Screen, and was on my WM6.5 with the appropriate add-ins. Some of their treatment of basic functions was pretty good, but they had the tendency to glitz it up with no funtional enhancement. You can see that with their current Hub. While impressive, having to fly through clouds everytime I just want to get to the weather gets old. Their standalone apps are pretty good though. Lets leave the interface alone and let folks get used to it. It's way better out of the box than WM was, though once I got it set up the way I wanted, I could actually get around it pretty well with just touch. I intentionally bought an HTC Pure, with no keyboard to try to work it that way. Rarely pulled out the stylus for basic functionality. Just saying, This UI doesn't take a geek to get it set up so the stuff that matters to you is up front, but is customizable enough to sooth some of the folks with fidget fever. I think of it like a car. My next door neighbor has cars he tinkers with, changing this, ugrading that. He drives them around the block, and tinkers some more. I bought a car, added a few things to make it mine, and I drive it. Hey Sven, that's exactly my point. Presently you are the only one buying WP7, your neighbor isn't. Wouldn't you agree that increasing the flexibility of the platform would bring more people like your neighbor into the fold? And remember it's not that difficult to allow things such as side loading apps, and making minor UI changes without affecting other users experience. 1. The mail client wouldn't retrieve new emails after a time, even when I tried to manually refresh it. 2. The weather widget would ALWAYS freeze when I unplugged my phone from the computer. The only way to get it to respond again was to delete it and re-add it. Quite the pain. 3. The Facebook integration with contacts never worked quite right. For some contacts, it refused to show their most recent posts or photo albums. When I contacted HTC, they blamed the problem on Facebook. It's interesting that WP7 doesn't have those problems. 4. The HTC music player never shuffled my music when I selected shuffle- it would play them in order no matter what I did. 5. The HTC gallery was awful. Slow and laggy. WP7's blows it away. 6. Shipping the EVO with all the graphics locked at a choppy 30fps was a big deal in the Android world. That HTC would ship their flagship phone with a horribly stuttering UI really angered a lot of people. To their credit, HTC fixed it, but it is a problem that should never have been there in the first place. Now, I'm not saying that everyone has these problems- some people love Sense. I am not one of them. I am not convinced that HTC's implementation of Sense UI is usable enough on a daily basis- it felt like beta software to me on my EVO 4G. Coming from all those bugs, WP7 is a godsend. It may not have multitasking, but for the most part, everything just works. I DO NOT want to see HTC taking WP7 and adding their "customization"- it doesn't need it. It would be like putting chocolate sauce on top of asparagus.